If the name rings a bell (pun intended) Trevor is Idris Jalla's awesomely talented nephew. Read more on him here. There could not have been a more meaningful opening to the fourth Kuala Lumpur International Jazz Festival (KLIJF) at University Malaya than the tribute to the legendary Alfonso Soliano. 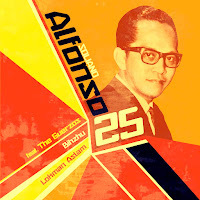 25 years after his passing, his grand-daughter Rachel Guerzo, her brothers Don, Diosdado and Daniel together Lokman Aslam, Bihzu and Datin Paduka Julie Sudiro paid loving musical tribute to Alfonso. Not to be outdone, Irene, Isabella, Connie, Valentino, Rizal, Tristano and Salvador Guerzo (The Solianos) also appeared onstage with a plethora of musical instruments to pay their personal tribute to Alfonso. What a multi-talented and artistically blessed this extended musical family is. 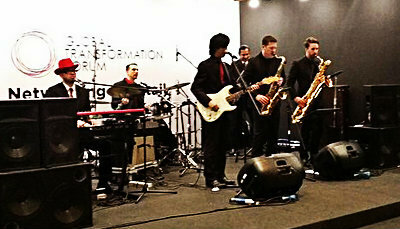 Since its inception KLIJF has grown from strength to strength, increasingly attracting a younger audience particularly Malaysian music students not only hungry for great jazz but eager to play it themselves. 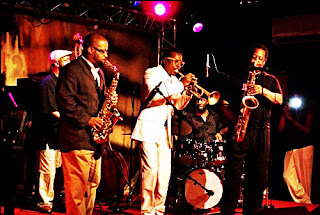 As KLIJF’s main focus has always been on John Coltrane, one of the most cited influences in jazz history, the festival naturally culminated with the John Coltrane All Stars Band, fronted by Wyatt, supported by Gonzalez, Eddie Layman, bassist Christy Smith, Terbrack and Armand Malik. Each artiste went on to praise festival organizer Rodin JS Kumar for his initiative to hold the event at the prestigious Dewan Tunku Chancellor in University Malaya as this provided a channel for young aspiring musicians see, hear and meet prominent figures of the jazz culture worldwide. Indeed, Rodin and Maizon have consistently pulled off amazingly successful KLIJF not once but four times now, and we wish them continued success for many more to come. 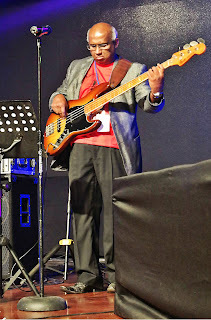 If there was one bug in the ointment it was this - our thoroughly enjoyable time spent with Jazz luminaries was somewhat numbed by the arctic force air conditioning of the Dewan Tunku Chancellor. We’ll remember to bring our winter jackets next year. 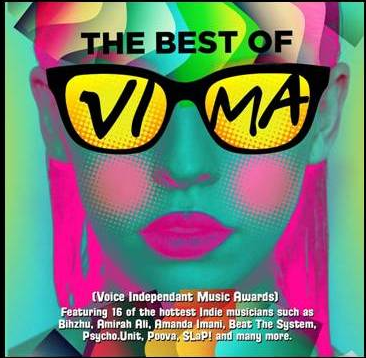 The best of VIMA compilation CD by Sony Music was officially launched yesterday. The CD is 4 years in the making, two years of work with Sony and features 15 of the best songs from VIMA 2013 and SONG OF THE YEAR from 2012 which was "Shine" by Beat The System feat Jaclyn Victor. 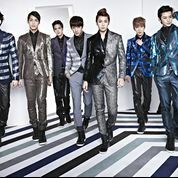 There will be a series of interviews over RED FM, Traxx FM and 8TV Quickie right after the launch on 8th July, and they are also hoping to give away exclusive copies of the album via contests with the media which Sony and Bite Media will announce within a week. 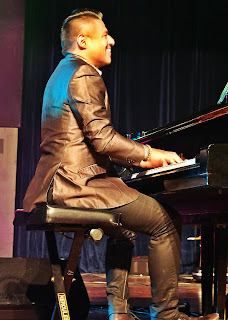 They are currently scouting for a venue sponsor to do a meet-and-greet the fans session with the featured artistes where fans will be able to buy autographed CDs and to meet the music celebs themselves. For more info regarding the compilation please contact bitemediaglobal@gmail.com. Note: Bite Media is not taking a single cent from the sales of the CDs so that more money will ultimately go back to the musicians. Please share and help support the local music scene,and if there is one investment you can make this year, then please get this CD, so that they can generate more exciting compilations for you. They are also exploring iTunes for the digital format. 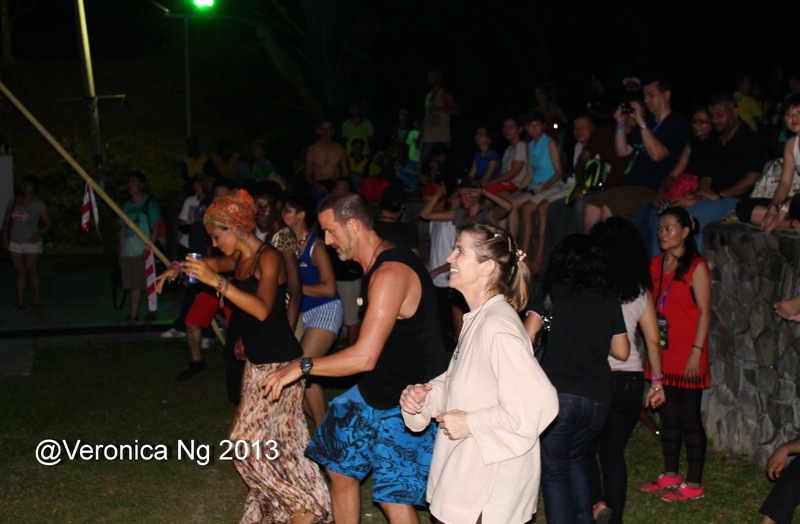 What do Malaysians do at a music festival in Penang? Why they gorge themselves on freshly barbequed satay and crispy succulent fried chicken and down it with cool coconut juice, of course. Who can blame them? This is after all Penang, home of delicious street fare. 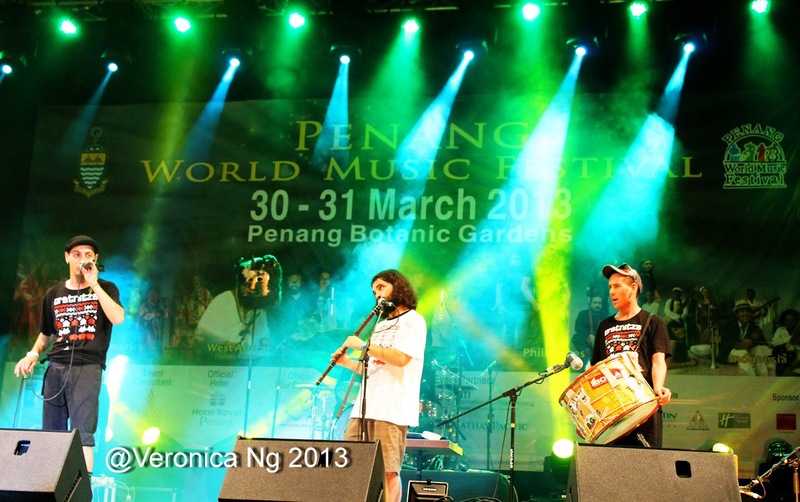 Speaking of Penang, The Penang World Music Festival stormed back after a 3 year break bigger and better than ever before with a diverse genre of musical mélange of international and local musicians amidst the lush beauty of nature at Quarry Park, Penang Botanic Gardens. 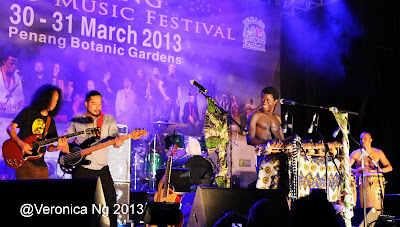 The lineup featured musicians from 12 groups from all over the world including Turkey, Iran, Portugal, Philippines, West Africa and of course homegrown Malaysian talent. On the first day of the festival on March 30th, Turkish band the Alp Bora Quartet played the music of Anatolia. Their music was indeed serene, a great warm up for what was in store for us. The 2nd group Oratnitza featured a mixed genre of Bulgarian, dubstep, drum ‘n’ bass and Aboriginal music. 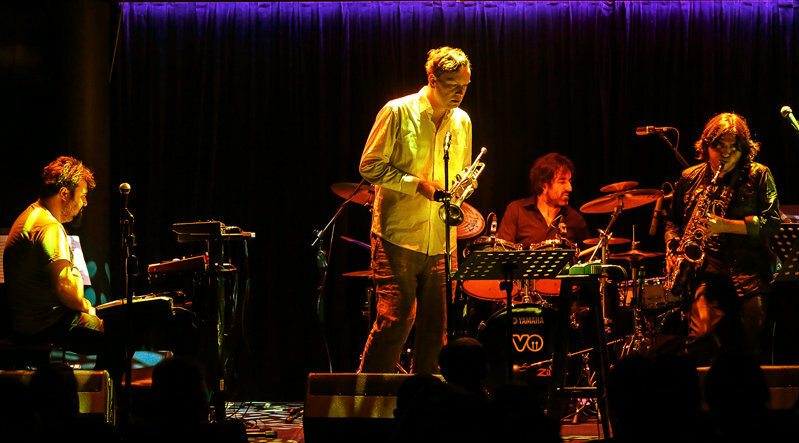 The heart of their music is the hypnotic drone of not one but two didgeridoo (played by the same guy, mind you) interwoven with the orthodox chanting of classical Bulgarian Mother and Daughter female singers. Oratnitza is currently rocking the Bulgarian youth. 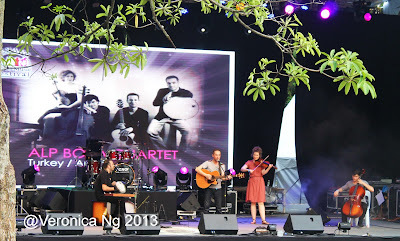 Next act up was world-jazz fusion group Rimba, an 8 piece band from Sabah that cranked up the crowd with a mix of modern instruments intertwined with traditional ones. Their traditional Sumazau dance finally broke the ice and got us flapping like giant birds too. Picking up the cue and upping the ante, Philippine ethnic rock band Kalayo was fronted by an energetic woman who owned the stage with her frenetic style and proved to be the highlight of day 1. Kalayo was definitely a hit with the crowd. Dagaya from Japan proved to be the most stunning audiovisual experience of the night as their members were dressed in traditional gear while thumping beats on their Taiko Drums. Their exact precision, expert timing and experience enabled each band member to perform a lengthy drum solo, accompanied by the soulful melody of the Japanese Shakuhachi (flute). The frenzied finale consisted of an outstanding synchronized drumming interwoven with skillful plucking of the Shamisen (stringed Japanese instrument). Mu from Portugal featured the element of dance prominently in their performance, with vocalist and dancer Helena Madeira fronting. 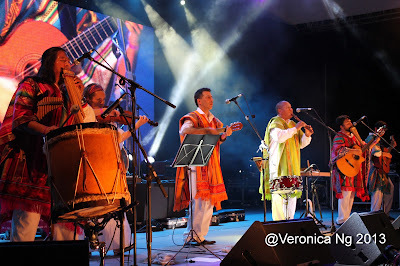 We travelled to several different cultures across traditional/fusion sounds as the band members played various truly unusual instruments from all over the world including India, Switzerland, Egypt, Brazil, Morocco and Australia. For the grand finale of day one we were lucky enough to see MU’s skillful players on both the Bulbul Tarang, (stringed North Indian instrument) and the seldom-heard folk instrument Hurdy Gurdy, a medieval stringed instrument played by turning a rosined wheel with a crank and depressing keys connected to tangents on the strings. A fitting end indeed, and an excellent appetizer to whet our anticipation for the next day. My only grouse was the inexplicable absence of a music journalist’s staple food during festivals - beer. Yup, no beer on sale. Things were looking up on day two as the packed audience appeared to be ready to party as soon as Nasout from Iran took to the stage. Could this have any connection with the fact that the organizers thankfully rectified the absence of beer? Your guess is as good as mine. Nasout is led by a big, quiet bespectacled hat wearing gentleman with a chest-length grizzly beard. Talk about appearances being deceptive, He displayed incredible talent on the metal ringed Daf, one of the most ancient frame drums in Asia, creating both a drumming and tambourine effect. As a Persian instrument in 20th century, it is considered a Sufi instrument to be played during the Zikr ceremony. With the haunting Tulum, an inflatable Turkish bagpipe, Nasout proved a great start. KimiDjabaté from Guinea-Bissau in West Africa came minus 3 members of his band due to an immigration problem. As is the nature of musicians, the show went on as musicians from Kalayo, Rimba and Mu graciously helped Kimi with his performance. 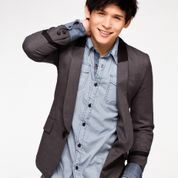 Minus his shirt, Kimi played his Xylophone and thumped on drums churning out beautifully groovy music to sway to. 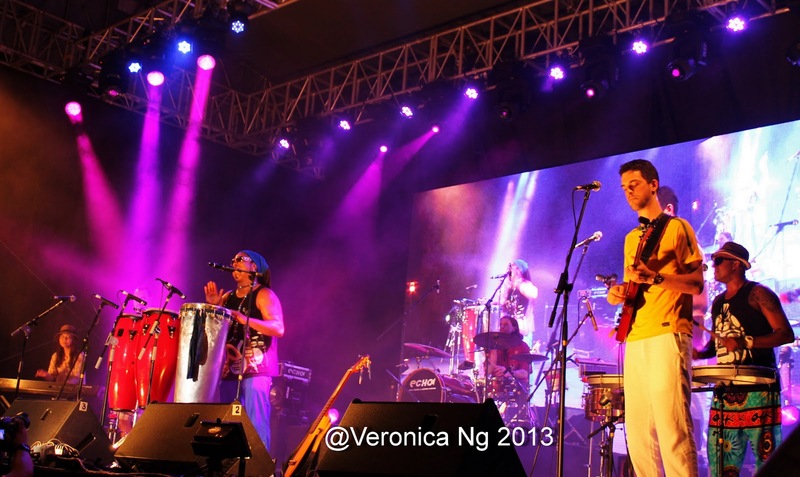 By now familiar to Malaysians, Andean Band Inka Marka were togged out in their trademark colorful robes and straw hats, their music imbued with the spirit of their forefathers and tinged with the sweeping chimes of the pan flute. Malaysia’s very own multiple award winning 8 piece band Akasha soon had the crowd eating out of their hands with their upbeat fusion of classical Indian, Malay, Chinese and just about everything else imaginable, all played at a seemingly psychotic pace led by Sitar Maestro Kumar Karthigesu. Guitarist and composer Jamie Wilson cheekily quipped, “We’re the only band listed in the Guinness book of records where each band member is sitting. We have no visual appeal”. Sitting they may be, but that didn’t stop these superbly talented boys from scatting, careening and slaloming from Jazz to Country to Irish to Malay to Indian and Latin, switching from orthodox to classical to blues and rock, moving seamlessly as one explosive soundbite powered by Greg Henderson’s thumping acoustic bass. 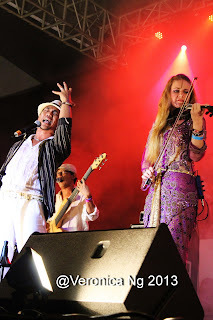 Imagine (yes, pun intended) the sitar transitioning into Michael Jackson’s ‘Beat It’ whipping the crowd into a frenzy, only to have Akasha flirt with us by switching to a table powered rendition of Deep Purple’s ‘Smoke on the Water’. Without a doubt, Akasha were the stars of the night, ending with chants of ‘we want more’ and a queue at their merchandise and CD stall. Predictably, the night then took a dip when Brazilian act Dendê and Band sadly lacked the musical chops to connect with the crowd, despite Dende making a valiant effort to mingle with the audience and urging them to sing and dance along with him. 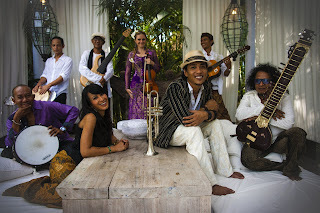 Indonesian 8 piece band Saharadja fared slightly better with their blend of ethnic Balinese and operatic rock. They also played a diverse range of instruments including the trumpet, electric violin, didgeridoo, sitar, djembe, sarod, darabuka, Irish tin whistle, congas, fretless bass, drums and a large assortment of percussion instruments, and Australian violinist Helga Sedli proved to be not only a great performer but also easy on the eyes, we still failed to regain our musical high. 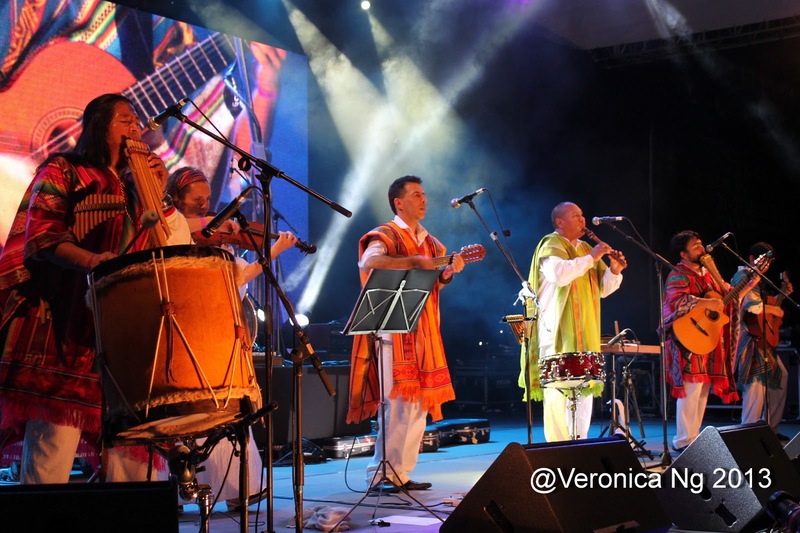 The festival’s finale was a jam session of all 12 bands, with musicians and their traditional instruments, in their traditional clothes, jamming in a joyful celebration of life, of music and of new friendships formed. 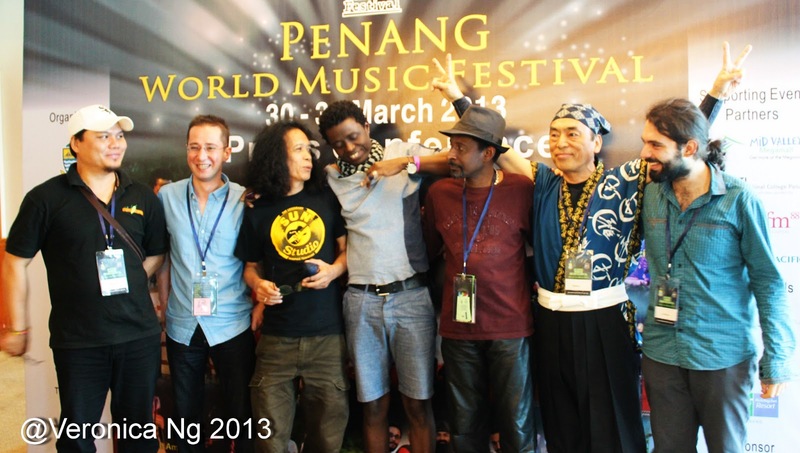 Frigglive has attended countless music festivals over the years, and it must be said that the much awaited return of the Penang World Music Festival 2013 was a huge success. This should come as no surprise as it was managed by event management consultant UCSI Communications Sdn Bhd, a company helmed by Gracie Geikie where Artistic Director Amir Yussuf and her dedicated team are renowned for their meticulous attention to detail. The 2013 Edition of the Penang World Music Festival (PWMF) has been confirmed to take place from March 30 to 31, 2013 and the list of bands performing at the festival is nothing less than impressive. 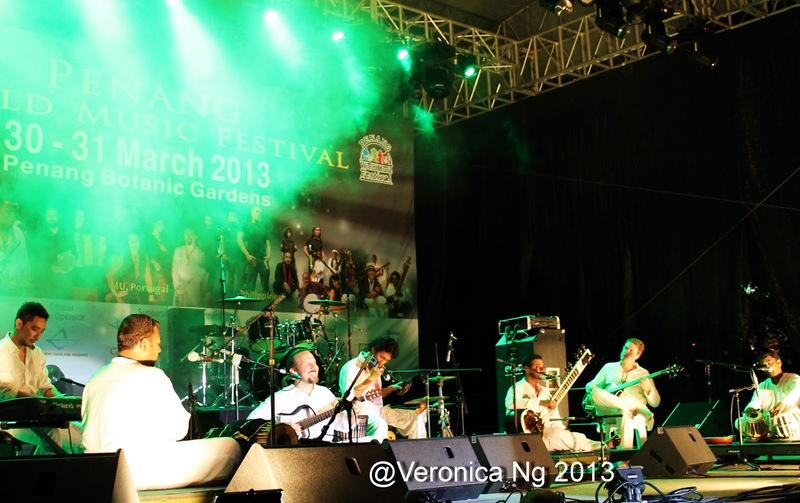 The venue will once again be the Quarry Park at the Penang Botanic Gardens. It is a tranquil and nature-inspired setting to showcase the diverse range of musicians that will be making Penang home in the last week of March this year. 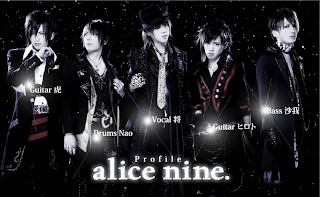 A total of 12 bands will be featured at the festival during the two days. Among them are Mu from Portugal, Kimi Djabate (Guinea- Bissau), Nasout (Iran), Alp Bora Quartet (Turkey), Saharadja (Indonesia), Inka Marka (South America), Kalayo (Philippines) and Malaysian bands. Each of the bands will showcase their unique music and instruments and together they will create a world tune that will rock the Pearl of the Orient. Mu will present the upbeat Portuguese folk tune using the bazouki and hurdy gurdy, cello and percussion while Kimi and his talented musicians will serenade the audience with the sound of Africa on the balafon. Inka Marka will be making their second appearance at the festival, having performed once in 2007. 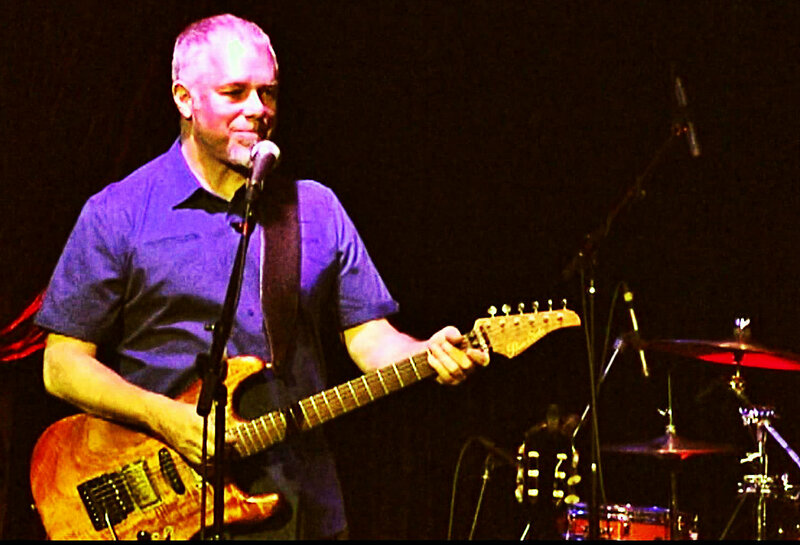 This South American band will showcase the tunes of the Andes. Kalayo which means fire is expected to put the heat on at the festival with their melodic traditional folk music infused with pop rock beat. 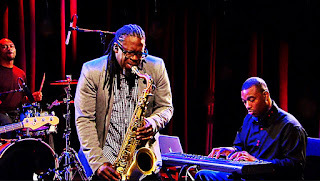 All the bands will be performing at the concert at night and in addition daily workshop sessions with the musicians will take place in the afternoon prior to the concert. 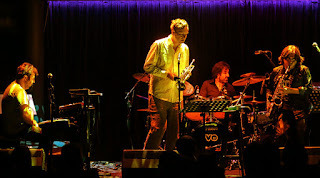 This workshop allows the public and audience to participate and learn the unique music making processes of the international artists. The event will be held in the open air and will proceed through any weather conditions. This encourages an atmosphere of openness and will enrich the visitors’ experience as opposed to conventional concert venues. From the traditional to the avant garde, the rich spectrum that is World Music will be represented over two exciting days and nights of music and friendship. Penang the city-island state in northern Peninsular Malaysia has a long rich history of cultural significance and has thrived as being a melting pot for all of its history. From from being a 15th Century trading port with Ming Dynasty to a British colonial port in the 1700's, Penang has developed into a rich multi-cultural state within the Federation of Malaysia. With the listing of Georgetown, the capital of Penang as one of UNESCO's World Heritage Sites in 2008, the significance of the island state on the world map was cemented. Given this reputation, it is only fitting that the music of the world is celebrated and presented in this melting pot of a city. There are several direct flights flying into Penang. The Sundown Festival is an annual event that celebrates Asian music and culture, with the aims of not only showing the best and most vibrant of Asian entertainment but also to unite and bridge the cultural diversity of Asia. Each year a new Asian country will be added to the list of performers, creating a snowball effect to the festival in order to generate hype, anticipation and captivate audience. The Festival will feature some of the most popular and up-and-coming musicians, on top of their cultural exports (such as food and other consumables) through fringe activities and stalls set up at the event grounds on the Festival day itself. Sundown Festival started in 2009 with the theme Seoul’dOut!, when it focused on Korean music and culture and single-handedly caused an explosion of interest all things Korean (also known as the Hallyu wave) in Singapore. 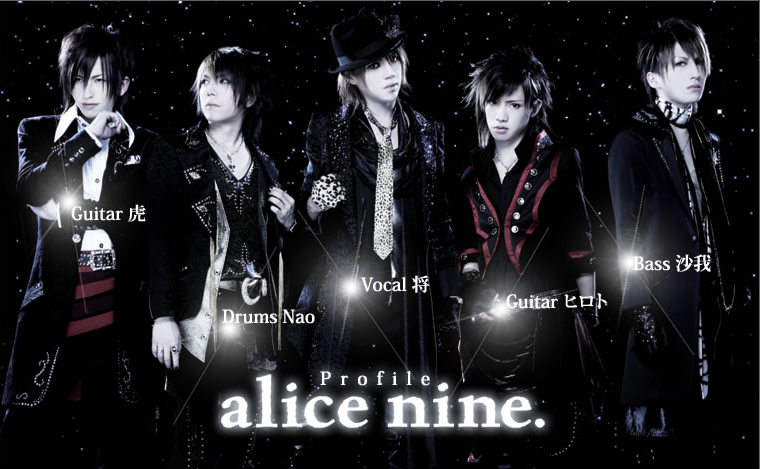 In 2010, Japan was added to the performance line-up, giving rise to the popularity of J-rock and visual kei youth pop culture. 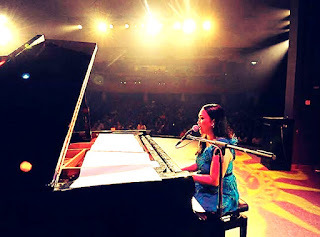 Taiwan was added to the mix in 2011, prompting new Asian entertainers and industry players to make Singapore as its maiden stop of fame. With Sundown Festival 2012 pulling all the stops to bring in leading acts from China, Japan, Korea, Hong Kong and Taiwan, the F1 Pit Building at Marina Promenade is proving to be the place to be, rain or shine, on 1st December. "It was necessary to continue this tradition every year; it is our promise to our fans and supporters. Anyone who is interested in Asian music and proud of the immense talents the region has to offer should take a look at what is going to go down at Sundown Festival this 1st December," said Samantha Chan, Director, Red Spade Entertainment. "Sundown Festival has a legacy of highlighting the diversity of the Asian music culture. At the same time, with fans from all walks of life and nationalities banding together to show support for their favourite Asian acts, it illustrates the boundless power music has to unite people and unify differences," said Ellena Liu, Associate Director, Segment Marketing & Communications, Consumer Marketing, SingTel. To complement this amazing line-up of musical entertainment, Sundown Festival will also welcome the Singapore debut of Jeno Liu Liyang, a Guangzhou native whose first shot to fame came when she won Super Girls, a popular singing contest in China, in 2006. With Liu’s soulful vocal, the charm of TVB series singer-actor, Raymond Lam and charismatic Taiwan Mandopop prince Anthony Neely all coming together on one stage, Sundown Festival is set to be a massive hit with those seeking quality Asian music and entertainment. “The amazing line-up of performances is yet further confirmation that Sundown Festival is ranked in the league of some of the region’s leading entertainers and event organizers. Put together by Asians for Asians, the Festival is giving consumers an understanding of the creative potential and musical possibilities as well as the impetus to purvey great Asian music worldwide,” said Keith Loke, Manager, Segment Marketing & Communications for Consumer Marketing, SingTel.